We develop and use experimental and computational approaches to understand biological systems in a holistic way. In different projects, we investigate bacteria, yeasts, fungi and even whole plants on the systems level using our technology platforms. The technological specialty of our group is 13C metabolic flux analysis, computer-based simulations of metabolic pathway and pathway networks. We furthermore study global gene expression profiles (transciptome) using RNA sequencing and levels of intracellular metabolites (metabolome) using smart and efficient sampling and analytics. 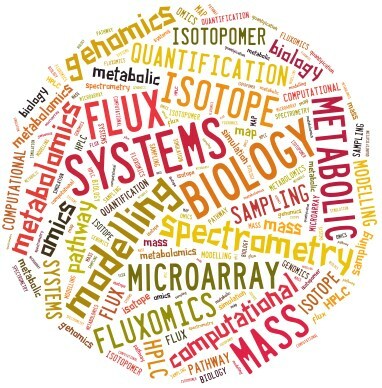 In multi-omics approaches we link and integrates the large data sets with computational predictions to infer key regulation mechanisms and genetic targets to design and create superior biocatalysts.